Open the paper out and lay it with the folds like it will bend upwards to you. 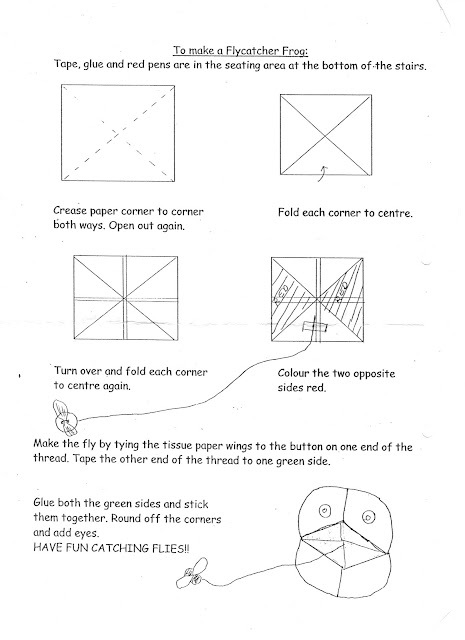 Tie the tissue paper to the button. Use sticky tape to stick the free end of the thread to the lower green side. Then cover both green sides in glue. 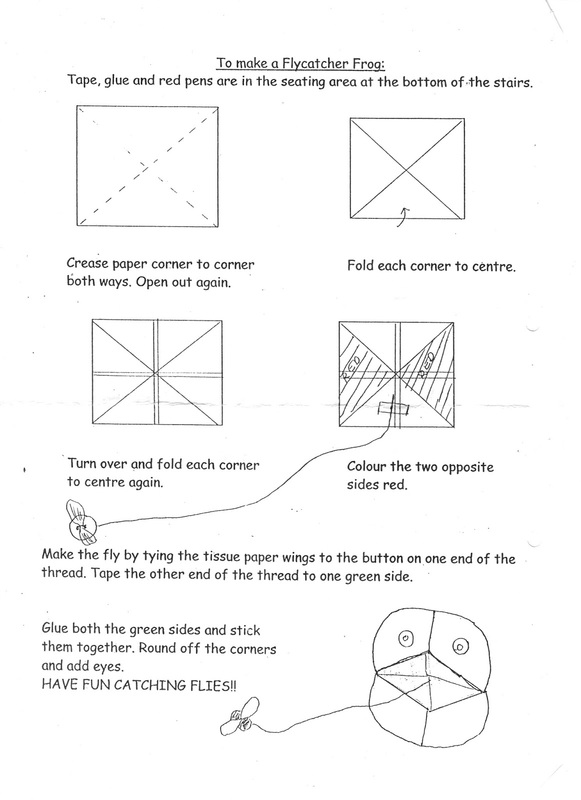 Put your fingers in the gaps in the under folds and manipulate it up, push the green sections together and just hold a minute whilst they stick. Draw some eyes on and stick the hole strengtheners on. Using the hand that is holding the frog only, swing the fly and flick it up to catch it in the frog's mouth.